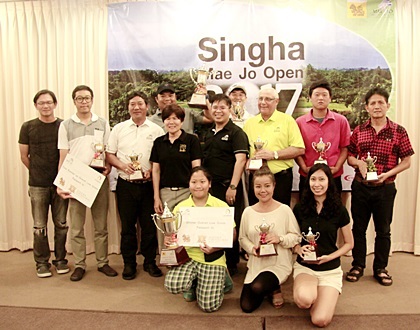 24- 27 August 2017 @ Mae Jo Golf Resort & Spa. 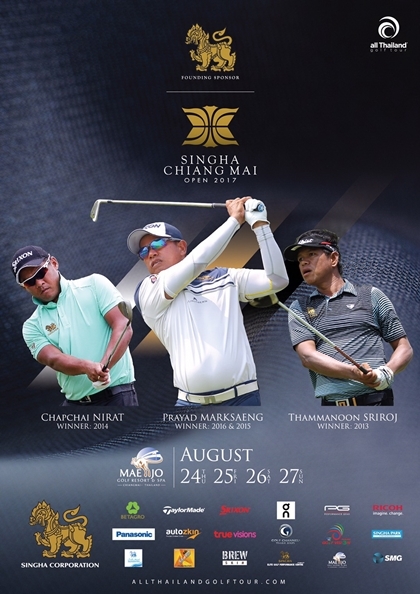 2.Singha Chiang Mai Open 2017 during August 21 – 27, 2017. 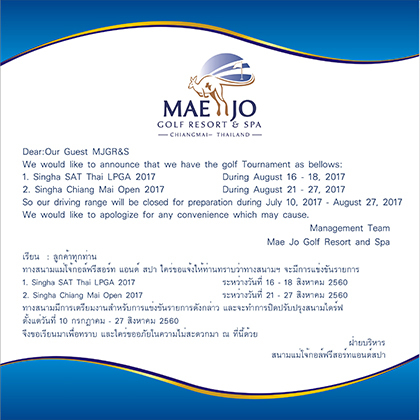 So our driving range will be closed for preparation during July10, 2017 – Augus27, 2017. We would like to apologize for any convenience which may cause.